This product was provided for review by BBcosmetic.com. All opinions are my own. Elle from BBcosmetic.com offered to send me some Koelf eye patches for review. I’ve been noticing some crepey-ness around the outer corners of my eyes and on top of my cheekbones, so I was quite happy to receive them in hopes they might help with the fine lines. She sent me the Koelf Pearl Shea Butter Hydrogel Eye Patches to try out. I have tried some hydrogel patches before, from Etude House and Petitfee, and I have found them very effective in reducing the appearance of fine lines under my eyes. The Etude House patches were individually packaged, and although I liked them a lot, I felt there was a lot of packaging waste and they were a bit expensive per pair. The Petitfee ones worked well for plumping up my skin, but something in them was irritating to my skin as I always felt a tiny bit itchy under my eyes when I used them (really, not an area you want to be itchy and scratchy!). I was intrigued to see how the Koelf Shea Butter patches would measure up in comparison. First of all, I’m a sucker for pretty packaging, and I liked the sturdy lavender jar these patches came in. I find this brand, Koelf, so whimsical, it gives me a chuckle every time I open these up. You’ll notice their brand motto is “The eyepatch of elves” (I’ve used a hydrogel mask of theirs before, which was the “maskpack of elves”). It just makes you wonder what thought process went into this marketing strategy, haha! I guess elves are known for having smooth youthful skin??? This jar contains 60 eye patches, so enough to mask once a day for a month. The packaging DOES say that it should be used up within 2 months once opened, so keep that in mind if you’re not into frequent eye masking. I find that I’m much more likely to pop a couple of these babies on than I am to use a sheet mask or wash-off mask, as the eye patches stick on well, aren’t drippy, don’t make me feel claustrophobic about breathing through my nose, and target the part of my face most in need of extra hydration. The hydrogel patches themselves are nicely saturated and juicy. They are soft and stick on well. If you’ve tried a Koelf hydrogel full face mask before and haven’t liked the stiffness of the hydrogel, THESE ARE DIFFERENT. They are very soft and pliable. The essence has a light floral fragrance with a hint of shea butter smell. The essence, despite having shea butter in it, is not buttery or thick, but clear and about the same consistency as a light serum. I really liked the essence these hydrogel eye patches were soaked in. Unlike the Petitfee eye patches (I believe it was Gold & EGF) I had tried before, there was no irritation at all, just a lovely cool and soothing sensation, which was incredibly refreshing after a hot and sweaty summer day. 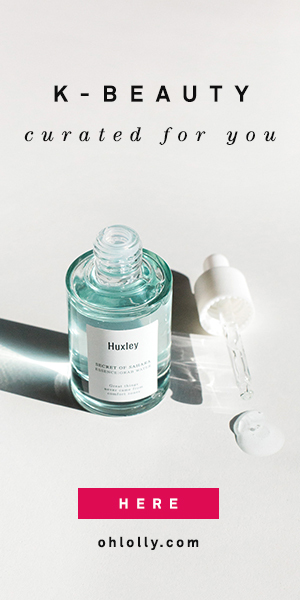 The essence absorbed super well, leaving next to no residue, and the hydrogel eye patches themselves got thinner as all that moisturizing goodness soaked into my skin. Like other hydrogel eye patches I’ve tried before, they did a great job of smoothing out fine lines under my eyes and making me look instantly younger. These are great for having around to use before a special occasion as the effects are instant, albeit temporary (you can prolong the effects if you use them every day). I will be buying them for birthday presents for my girlfriends, who like me, are seeing the first obvious signs of aging as we move into our mid-30s. BBCosmetic carries the Koelf Pearl Shea Butter Hydrogel Eye Patch for $10 with free shipping. BBCosmetic.com is a newer online shop that I’ve personally ordered from before, and I’ve been very happy with the fast and free shipping and the very reasonable prices they have. Do you use eye patches, and have you seen a difference using them?